I believe men in Dallas are somewhat stylish — but still don’t quite know how to fully express themselves in their dressing. As of last night, local gents may have found a match to the seemingly endless number of choices found inside the countless women’s boutiques here. Mustard-hued sport coats. Glen-plaid wool suits. Brown linen checked jackets. Sift through the new Suitsupply store in the West Village and these are just a few of the sartorial choices they will come across. 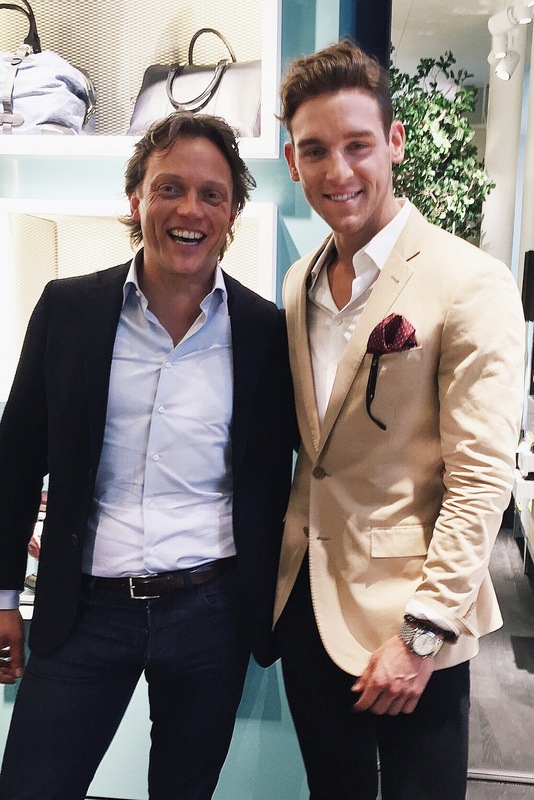 Suitsupply CEO Fokke de Jong, left, and me at the Suitsupply grand opening in Dallas, June 18. In a sea of nearly 400 faces last night, I asked founder and CEO Fokke de Jong why Dallas. “Dallas is one of the most unique and dynamic areas to us,” he said, “especially the downtown area. [Dallas] accounts for our largest amount of online sales in the U.S., so it was a natural fit for us to bring a store here.” In its crisp, clean new home, the Dallas man can shop for some rather imaginative looks. I cannot understate the quality or look of the product for the price: It is unrivaled. I am in an industry in which I wear good clothes daily. I think Dallas is ready for Suitsupply. Men are slowly taking back their closets and caring about their appearance more — and Suitsupply can help that renaissance along.